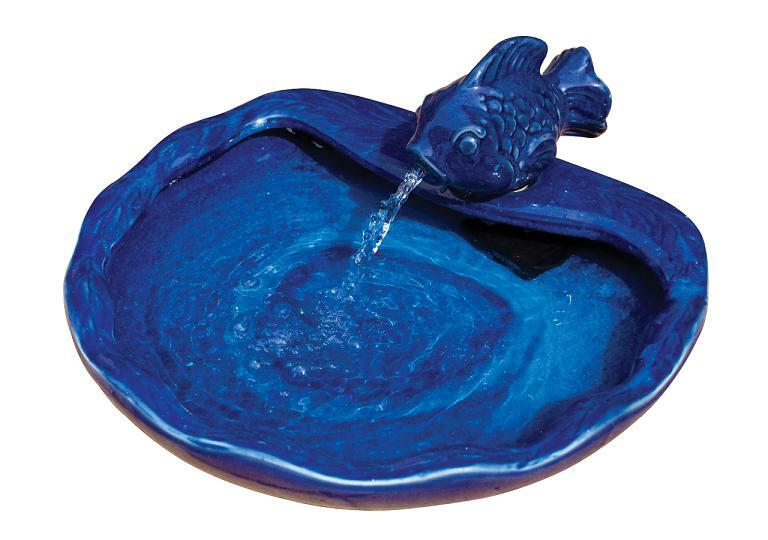 This ceramic koi solar water fountain features a custom blue glazed terracotta spouting fish, creating a soothing atmosphere with the gentle sound of running water. Solar panel has extra long 10 ft. cable so you can place your panel where the sun is and the fountain where you want. 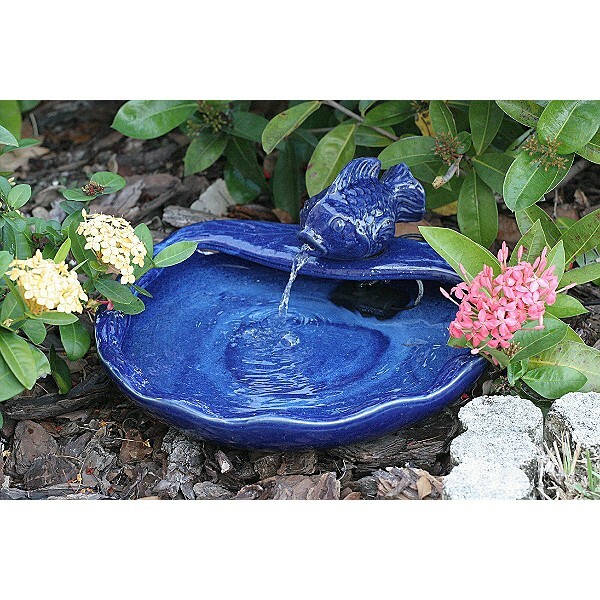 A blue glazed ceramic koi water fountain that is powered by a separate solar panel, providing the relaxing sound of running water for patios, decks, balconies and gardens. 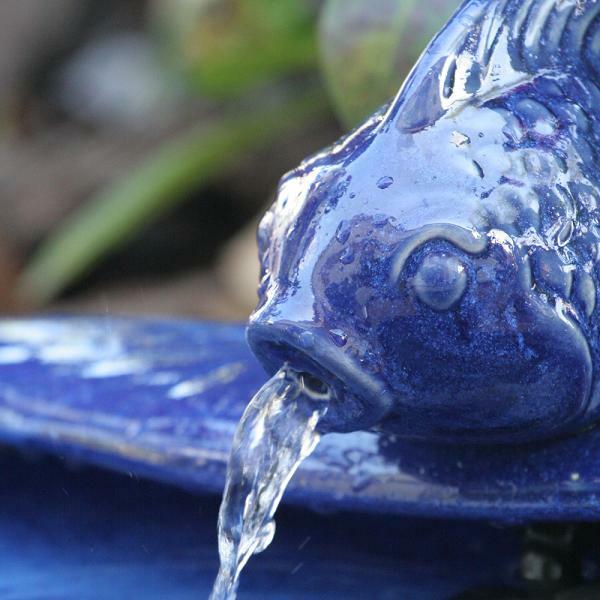 Water flows constantly through the koi's mouth and into the bowl. Operates in direct sunlight with a low voltage water pump with filter.